Cult director Takashi Miike (ICHI THE KILLER, AUDITION) delivers a bravado period action film set at the end of Japan's feudal era in which a group of unemployed samurai are enlisted to bring down a sadistic lord and prevent him from ascending to the throne and plunging the country into a wartorn future. 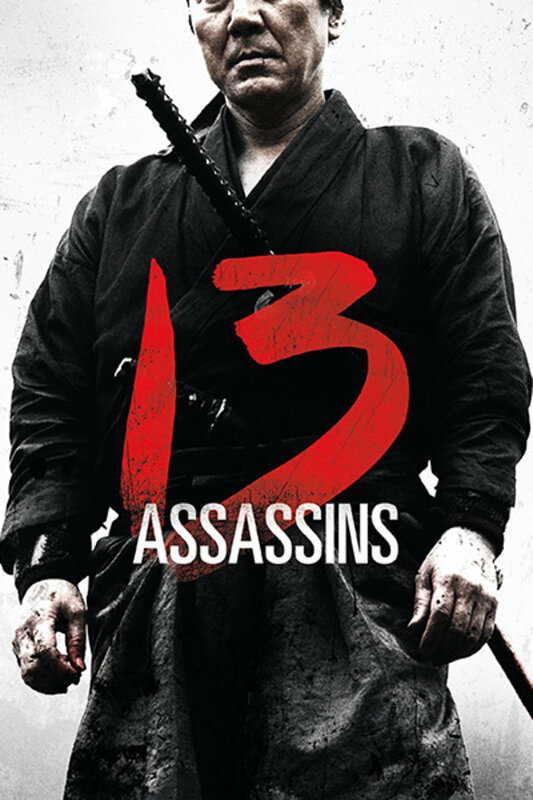 A group of unemployed samurai are enlisted to bring down a sadistic lord and prevent him from ascending to the throne and plunging the country into a wartorn future. Minimal gore, too much dialog, absolutely does not belong on Shudder. Not sure how they managed to score this perfectly fine samurai film and not an actual modern horror masterpiece like Meatball Machine. I loved it since I saw it in a Santa Monica theatre opening weekend after work. Still have my post card promos and mini-poster to boot, the crowd was into it and even after many viewings, it holds up as an incredible piece of work! Few survived and it all was a bloody, violent purpose driven mission, five skulls indeed! One of the best movies I have ever seen from this genre!!!!! !